I have about 10 credit cards. Some of those I got because of great sign up bonuses ($500 for example) but the majority I got because they have great cash back with no annual fee. Here's How I Earn 5% back on almost everything I buy which saves me over $600 a year. Currently I'm using an offer from USAA for 8% cash back on gas until October and 6% cash back until July 2014. If you bank with USAA check the offers tab on the right corner for offers like these. 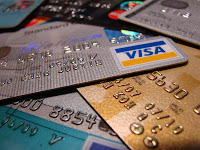 Looking at all the categories from above it might be useful to take a look at what your current credit card rewards are and examine these and figure out if it would be beneficial to apply for another credit card to increase your rewards. Remember always pay your bill on time and try to avoid debt like the plague. It also always a good idea to have at least one American Express Credit Card. American Express cards are great because every year they have promotional deals like "Small Business Saturday." This allows you to get a free $25 purchase every year to any small business. I typically just buy gift cards with it. For example my wife and I both have American Express Credit Cards and she wanted to get her hair done at a local saloon. It was going to be about $50 so we both just went in a bought $25 Gift Cards which were reimbursed from American Express and then she was able to go in whenever she wanted to get her hair done. They also have other promotional deals like buy a $25 prepaid gift card for only $15. Go ahead, turn your next Thirteen Cents into this! !